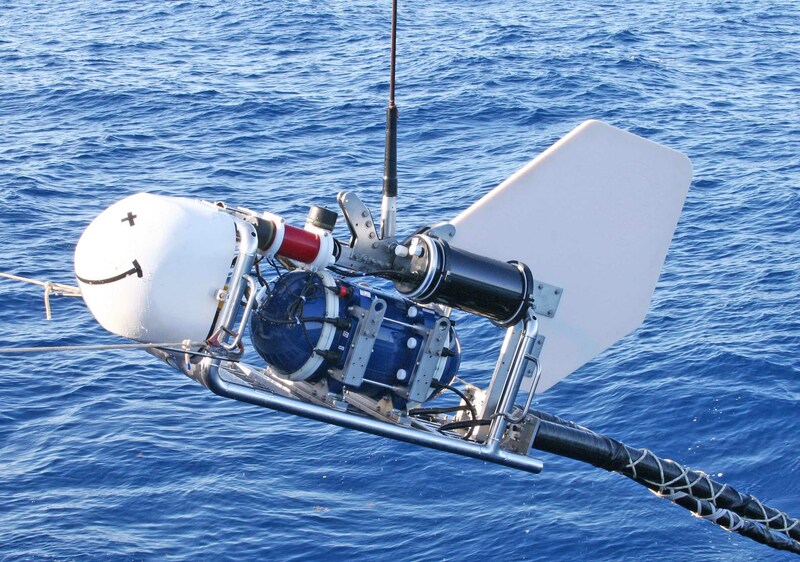 The Marine EM Lab specializes in pioneering new technologies for EM exploration in the oceans. 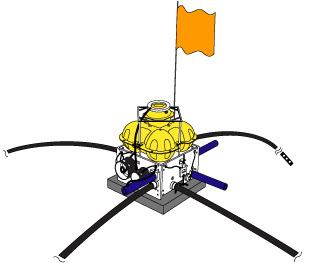 The two main instrument systems developed at the Marine EM Lab are the SIO seafloor EM receiver and the Scripps Undersea EM Source Instrument (SUESI). SUESI is a deep-towed horizontal electric dipole transmitter used for the controlled-source EM (CSEM) method. The receivers are used for measuring the seafloor electromagnetic fields for both the CSEM and magnetotelluric (MT) method. We currently (late 2009) have a fleet of 54 broadband EM receivers and 2 deeptow EM transmitter systems (SUESI). Funding to build the instruments was obtained from the Scripps Seafloor Electromagnetic Methods Consortium (SEMC). The Marine EM Lab also serves as a facility for the construct and calibration deep-sea differential pressure gauges. Click the links at left to see instrument specifications,	and photographs	and movies of this gear being used at sea.